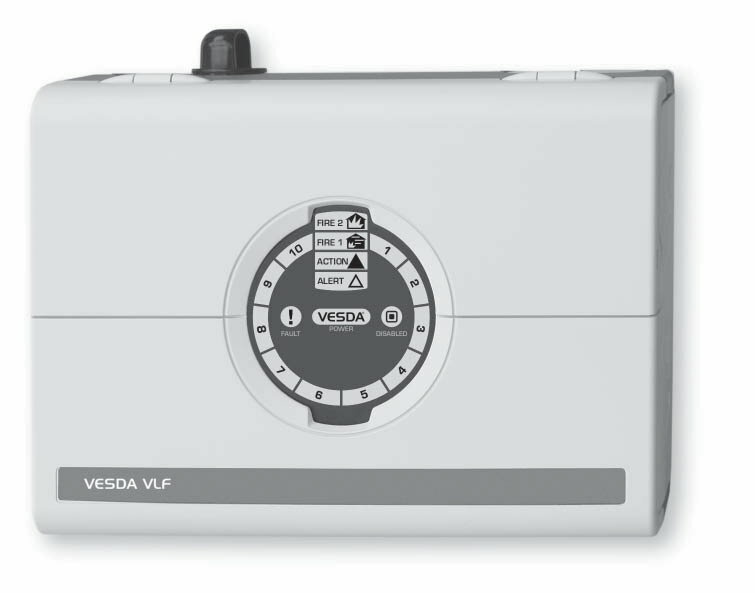 The VESDA VLF-500 detector is a very early warning smoke detector designed to protect small, business-critical environments of less than 500 m2 (5000 sq. ft.). The detector works by continually drawing air into sampling holes in a pipe network. The air is fi ltered and passed into a detection chamber where light scattering technology detects the presence of very small amounts of smoke. Detector status information is communicated on the detector display and via relays or optional interface cards. The VLF can be installed and commissioned out-of-the-box without the need for a special interface or software programming tools. In operation, the unique Smoke DialTM display provides the user with an instant understanding of a smoke event, even from a distance. 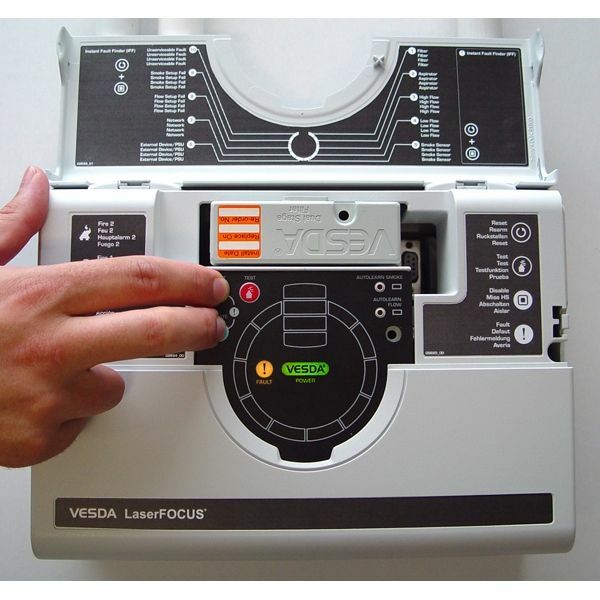 Should a fault occur, the user simply opens the fi eld service door and activates the Instant Fault Finder feature to determine the specifi c fault condition. This information can then be passed onto their fi re service company, ensuring that service technicians arrive onsite fully prepared. The patent-pending Ultrasonic Flow Sensing used in the VLF provides a direct reading of the sampling pipe fl ow rate. The system is immune to air temperature and pressure changes and is unaffected by contamination. 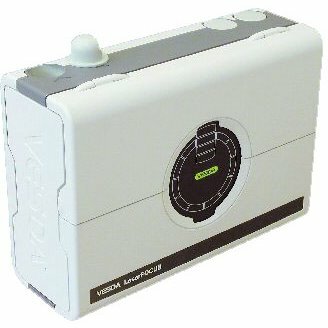 The VLF is the fi rst air sampling smoke detector to use ultrasonic fl ow sensing. Classification of any confi guration is determined using ASPIRE2.